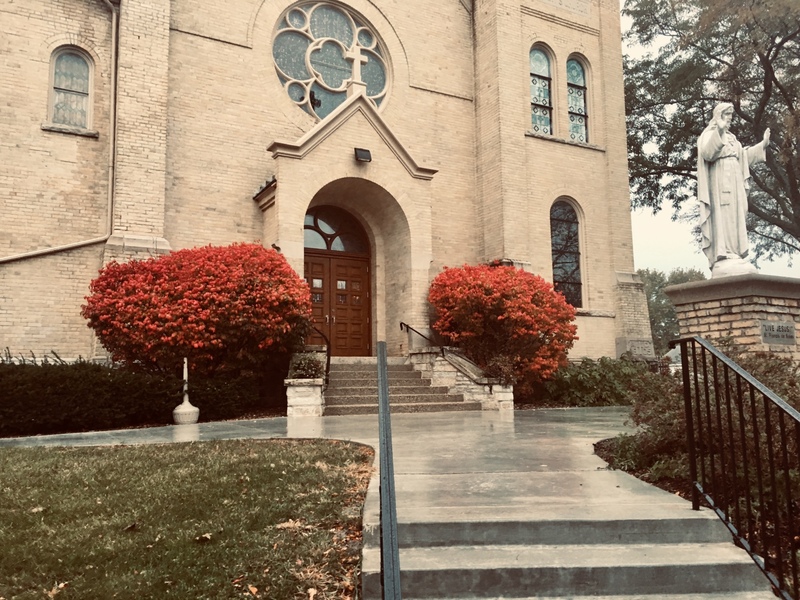 Over one hundred years ago, God called the men and women in Menomonee Falls to journey to Him as a community of faith. Shepherded by Christ, these Catholics took matters into their own hands and ventured into Milwaukee to speak with the Archbishop. Permission was granted for the establishment of a new Church. The laying of the St. Mary Parish cornerstone marks a historical time. The villagers broke ground in November 1904 and over the winter months, the men hammered and chiseled their way through three feet of limestone. To ensure the work continued, the villagers held a bazaar which netted about $3,000. Buoyed by the increased financial support, the workmen completed the foundation by early Spring of 1905. The construction of the church proper rapidly proceeded as the design of the new worship space took shape. 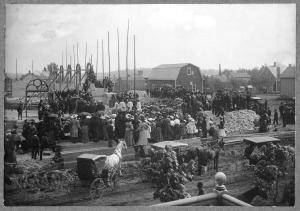 A festival-like atmosphere surrounded the laying of the cornerstone on May 28, 1905. Over 600 people participated in the festivities. To commemorate this event, several articles were placed in the cornerstone. Today, we are called to recommit our parish to God’s divine plan. You and your families are invited to give thanks for the graces God has bestowed upon our community of faith. 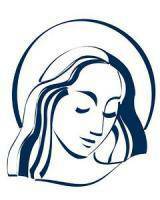 View the entire written history of St. Mary Parish here.